From the hills of Donegal, to Cullybackey, to Crebilly, to the Silent Valley, to the North Coast and to Carnmoney … we really do run everywhere! Huge respect to Claire Martin who completed four back-to-back marathons this week as part of the Extreme North Quadrathon Festival. But it wasn't just four 'ordinary' marathons, this four day event comprised of an entire anti-clockwise loop of Co. Donegal over some amazing rugged landscapes and stunning scenery. 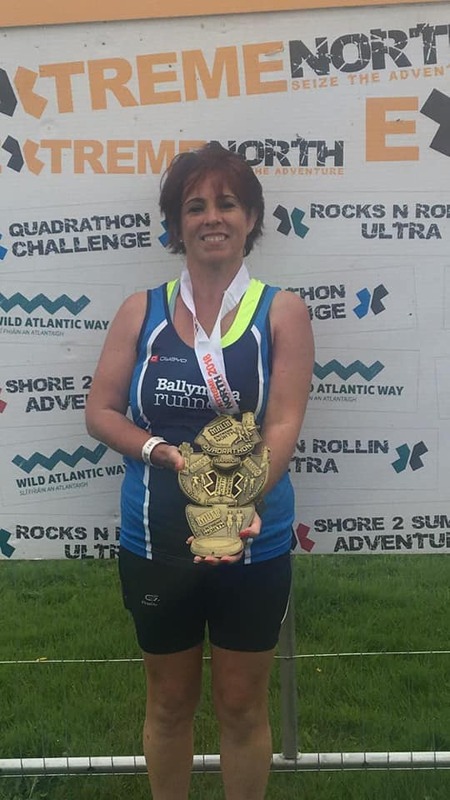 Day One (Thursday) saw Claire begin in Kinnego Bay before continuing on Friday from Malin Head, a run which she described in three simple words: "Mountains! Rain! Wind!" The racing continued on Saturday with arguably the toughest day, a 2200ft climb over the Mamore Gap into Buncrana. Then, on Sunday, the challenge continued with a flatter stretch along Lough Swilly before concluding in Muff. A truly heroic effort from Claire! On Thursday night Ballymena Runners descended on Cullybackey for a 3-mile Fun Run organised in partnership with the Cullybackey Community Partnership. And the club completed the double with Andy Laverty coming first overall while Zara Surgenor claimed top spot in the ladies race. Well done to everyone on what was another great night for the community. A large turnout from Ballymena Runners competed in the Crebilly 5k on Friday night, organised by All Saints GAC in aid of Northern Ireland Chest, Heart & Stroke. Ian Taggart finished second overall, while Michael Bennett, James Turtle, John Robinson and Noel Connor all placed within the top ten. 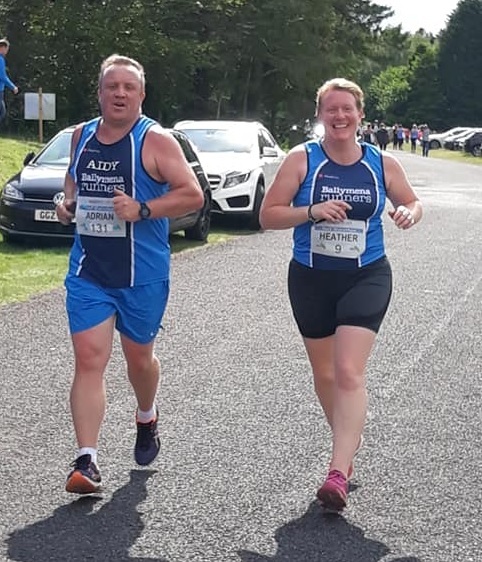 A number of Ballymena Runners made their way to the Silent Valley Reservoir on Saturday morning to take on the challenging Dambusters Half Marathon and 10k. Rodney Agnew (1:31:23), Elle Forrest Reid (1:51:30), Kathryn Grant (2:07:14), Heather Birrell and Aidy Dodds (both 2:38:49) competed in the Half while Lynsey McKeown (1:13:01) tackled the 10k on what was an undulating course. Nigel McClintock was the sole Ballymena runner in action on Sunday in the second of the Decathlon #areyoureadyforthehills series of events. Other races in the series include Divis Mountain and Cavehill but, on Sunday, it was Carnmoney Hill, the steepest of the three. And Nigel did admirably well, recording a time of 25:05 to finish in 5th spot overall and runner-up in his age category. Not content with running 'just' a marathon, a number of runners from the club competed in the Oakland Insurance More Than A Marathon event along the Causeway coast from Ballycastle to Portrush, a very tough off road measuring some 26.9 miles. Ryan Armstrong was first club runner home in 4:03:38 in 11th place, just ahead of Rodney Livingstone (15th; 4:12:40) followed by Colin Hoey (19th: 4:19:47) and Jonny Graham (32nd; 4:49:29).